The shipment of locomotives, fully assembled, is not new, but such cargoes have up till quite recently been confined to short sea passages. The enormous advantages in time, labour, and convenience of transporting railway engines in this manner has given rise to the experiment being tried for much longer voyages. 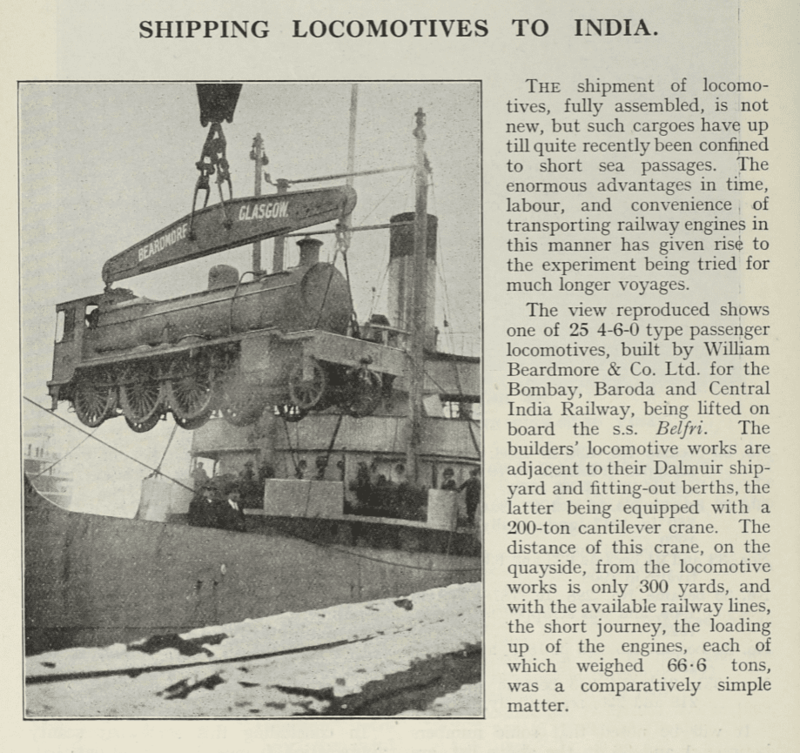 The view reproduced shows one of 25 4-6-0 type passenger locomotives, built by Willian Beardmore & Co. Ltd. for the Bombay, Baroda and Central Indian Railway, being lifted on board the s.s. Belfri.